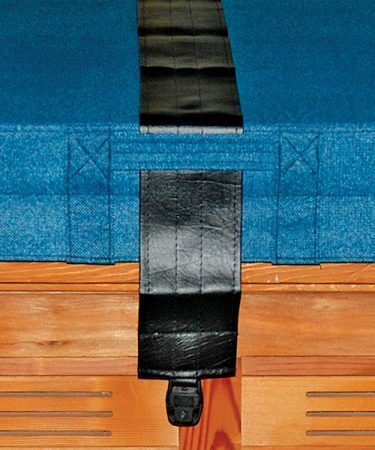 Did you know that every replacement spa cover from Hot Tub Covers Canada offers 4 standard tie-down straps? These standard straps also offer 4 male-female locks, with a lock and key for added safety and security. 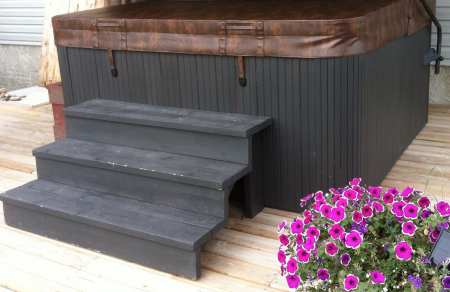 For added hot tub cover protection, Hot Tub Covers Canada offers an upgrade to heavy duty and custom cut Hurricane Straps. Sold as a pack of two, Hurricane Straps are offered for hot tubs measuring up to 84″ inches in a physical strap length of 96″ inches. For hot tubs measuring from 85″ to 96″ inches, owners will receive a physical strap length of 110″.